Geoff Trickey, Managing Director of Psychological Consultancy Ltd, shares a framework for understanding Risk Personality Types and their impact on project decisions. Conventional risk management in projects has focused primarily on the nature of the risk itself and the methods to quantify and manage risks. The critical importance of the human nature of risk has been vastly overlooked. Understanding individual differences in people’s perception and response to risk provides project managers with valuable insight into how and why decisions are made. In this interview, Geoff Trickey offers a framework for understanding Risk Personality Types that is based on well-established psychological research into personality, attitudes and risk tolerance. The framework places individuals into one of eight easy to understand personality types, ranging in levels of risk tolerance and each associated with different personality characteristics. These characteristics have a fundamental influence on the way an individual is likely to perceive and handle risk. 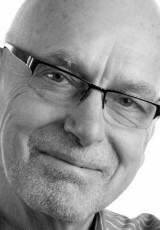 Geoff Trickey is Managing Director of Psychological Consultancy Ltd. He is a Chartered Psychologist with a BSc in Psychology and an MSc in Educational Psychology from University College London. He is a Fellow of the Royal Society of Arts, an Associate Fellow of the British Psychological Society, and devotes much of his time to research based consultancy and innovative internet-based product development. Geoff’s varied professional life has spanned educational, clinical and occupational psychology. Tell me a little bit about the mission of your firm Psychological Consultancy and the type of challenges that you help your clients overcome. You will be presenting at The Project Zone Germany 2013 Congress organized by PMI Frankfurt Chapter and Stamford Global between March 18 – 19 in Frankfurt. Your presentation will address: People and Risk – Understanding the Risk Culture, Opening the door to new possibilities. How did you get interested in exploring risk from a psychology perspective? What are the key questions you will be addressing in your presentation? You say that organizational risk, compliance and governance strategies have had difficulty in getting to grips with the human factor – the risk dispositions of the individuals involved and their contribution to the risk equation. Why is understanding Risk Psychology important to leaders and why now? Can you give share with us some examples that illustrate how individual differences influence risk awareness and response to risk? You developed The Risk-Type Compass, a personality based risk tolerance assessment, based on well-established psychological research into personality, attitudes and risk tolerance. Talk a little bit about The Risk-Type Compass and how it can help leaders in managing risks? You have been focusing recently on raising awareness about Risk Psychology. What are you working on these days in achieving this goal and what is next for you? 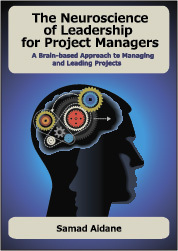 Many project managers often find it a daunting challenge to manage projects in a global environment. The knowledge on key Risk Personality Types will help these professionals in easily overcoming the language and cultural barriers. Nice post! Glad you found the interview helpful. Thank you for for the feedback.